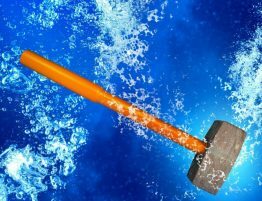 One of the nice things we get to experience in the plumbing industry is seeing the transformation in a bathroom, laundry or kitchen when its been renovated. A few simple changes, like a new toilet suite, retiling the shower a lick of paint and some new lighting are all cost effective improvements. 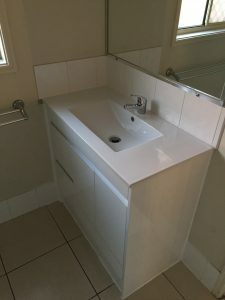 Updating the laundry tub and its fixtures or new bench tops combined with a new sink in the kitchen and a new vanity in the ensuite and bathroom and the value added to your property is often threefold. 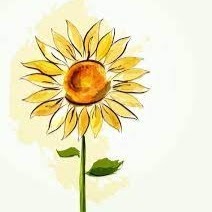 Once upon a time there was not a lot to choose from in vanity selection, tops were often coloured in the drab browns and avocado coloured tops of the 70’s, the sky blue and sunny yellows of the 80’s and the standard whites of the 90’s. A cabinet maker would make the cabinets in their workshop, then bring the components to the installation location and assemble onsite. 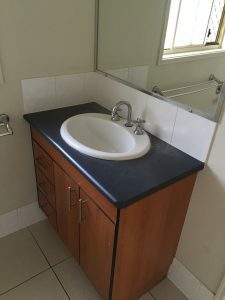 Time consuming to build, costly due to the labor required and constructed from materials that are not the best around moisture, older vanities have become a common fixture replaced by renovators looking for quick value adding to their property. 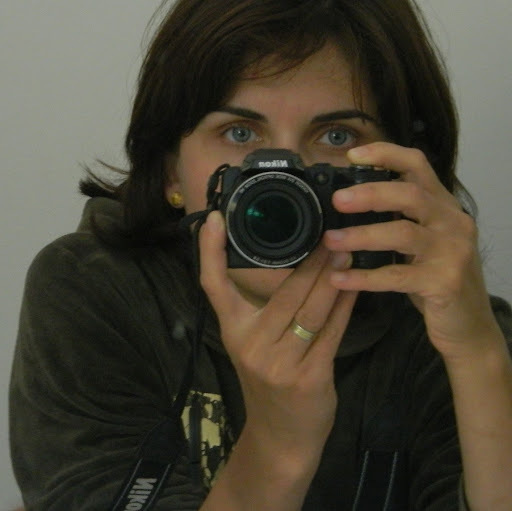 Nowadays we have an amazing range of colours, textures, materials on tops. Not to mention cabinets with endless draw, cupboard, soft close and backlit options to choose from. All pre fabricated and ready to bolt onto the wall in only a few hours. 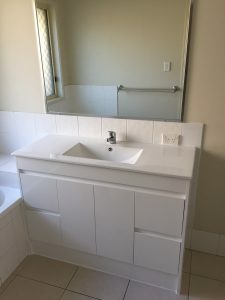 We have just finished a dual replacement of vanities at a house on the Gold Coast and we were able to use a product that I had been eagerly waiting to install. The house we were working on had the original vanities in both main bathroom and ensuite. The tops were dark and the cabinets were timber veneer. 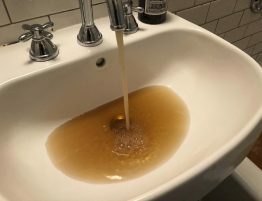 Twenty years of living had left the vanities looking a little worse for wear and a leak from the plumbing had severely affected the life remaining of the main vanity. Our client had asked for a nice clean and simple look for both replacements (white with poly marble tops,) and as ever there was a budget to be mindful of. There was one slight hitch though, most vanities are 850mm or 900mm high. Tiles, powerpoints, mirrors and other fixtures are built around these standard heights. These vanities were 875mm high, smack bang inbetween standard heights and the tiling in the bathroom integrated into the bath tub. 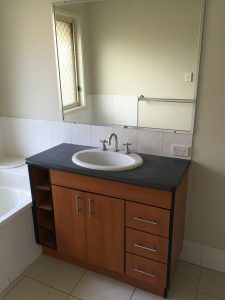 With a little research and half a dozen phone calls we eventually talked to Eric at Nu Bathroom Centre on Brisbane Road in Labrador who had two vanities in the same style at 900mm and 1200 widths and at 880mm high. Unlike a major hardware chain who’s staff members are “experts,” the folks at Nu Bathroom Centre are the real deal. Nu Bathroom Centre has an impressive range of stock in their showroom and actual knowledge of the products and installation techniques. 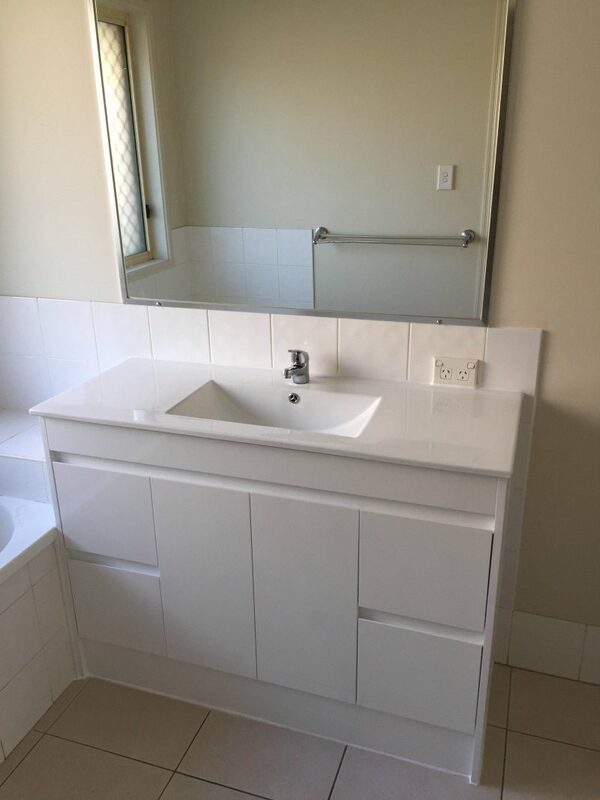 The Kabo vanities we sourced were just beautiful to install, the tops were so much better than any that we installed from the major hardware chain and will be much better wearing and stain resistant. The cabinets were just as impressive. Soft close draws and doors were standard and all the doors and draws were aligned correctly horizontally, vertically and perfectly gapped. They are also backed with a 10 year warranty. The cabinets were made of a material thats becoming more popular, unlike most cabinets that are a laminated chipboard these cabinets were a chipboard that was infused with a polymer binding the material together making the material extremely resistant to water which is the enemy of normal chipboard. 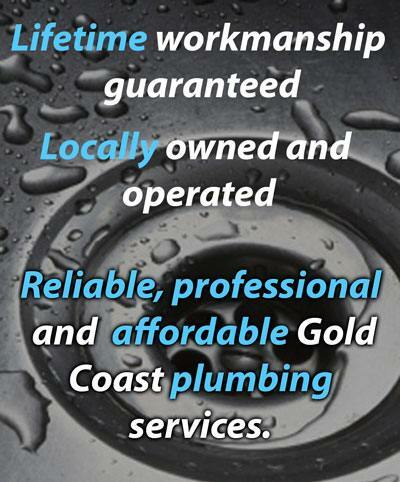 If you are considering an update to your home I’d swing past Nu Bathroom Centre for a look and don’t forget to give your friendly team at Gold Coast Plumbing Company a call to look after the install. View more information on the bathroom page of our website.